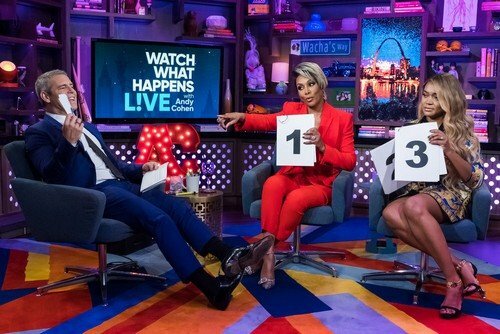 Last night’s Watch What Happens Live guests were Married to Medicine star Mariah Huq and actress (and sometimes nemesis of Kenya Moore) Vivica A. Fox. Two things about Kenya Moore: 1) Nothing is ever her fault, and 2) A grudge is a grudge is eternal. Luckily she has met her match in Vivica A. Fox! But first up – what happened with Kenya after being eliminated from Worst Cooks in America: Celebrity Edition? Sources claim she had a massive meltdown over the judges criticisms and being axed. Kenya called into V-103Atlanta’s Ryan Cameron Morning Show and said “hell no!” she did not have a huge fit after being kicked off the Food Network show. 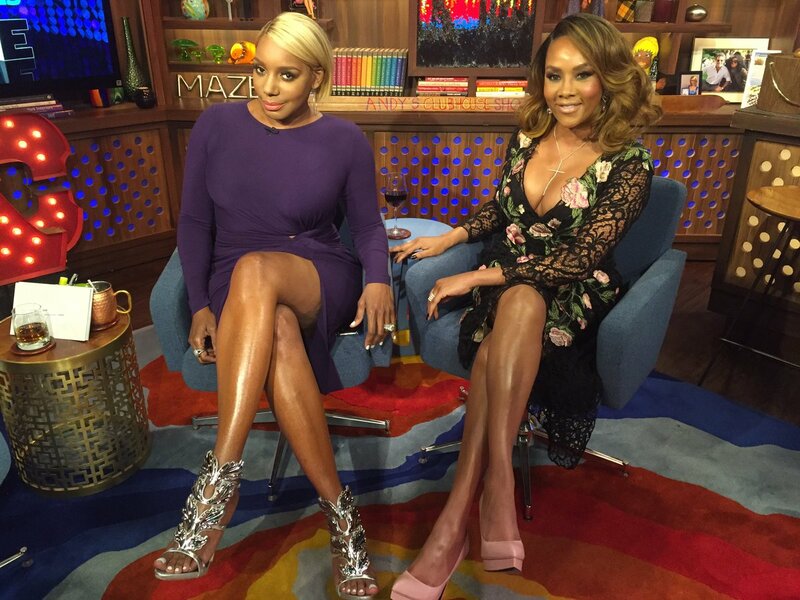 NeNe Leakes and Vivica A. Fox were the guests on Watch What Happens Live tonight. It’s been a while since NeNe was on the show, so Andy started off with a game of catch up. Has she been in touch with Cynthia Bailey since her separation? “Yes, I talked to her this morning. She’s doing good.” She also says she’s good with Peter and talks to him. 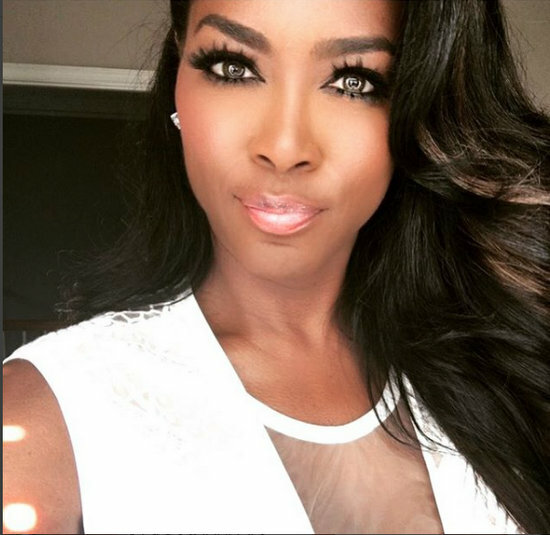 Kenya Moore Says She’s Not To Blame For Drama With Sheree Whitfield; Built First: Moore Manor Or Chateau Sheree? Real Housewives of Atlanta star Kenya Moore and rapper/record producer T-Pain were Andy Cohen‘s guests on Watch What Happens Live tonight. Kenya dished on her drama with Sheree Whitfield, her business meeting with Kim Fields, her issue with Peter Thomas, and more. A caller asks Kenya why she felt the need to attack Sheree week one.